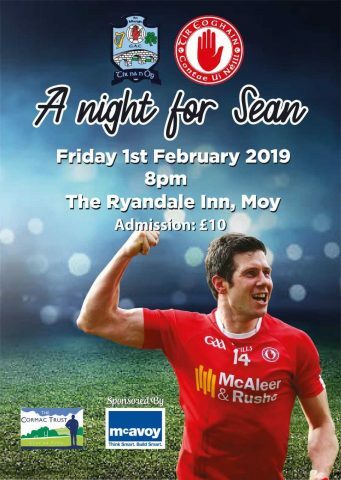 A sea of well-known names within the wider GAA family will descend upon the Ryandale , in the small village of the Moy, this Friday night (1st February) at 8.00pm to honour the legendary Sean Cavanagh for his commitment and dedication to inter-county football . 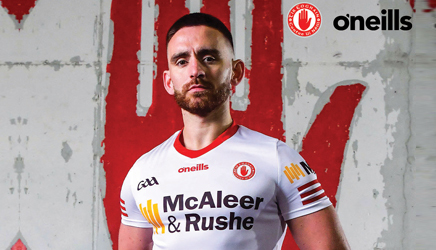 Organisers of the event have revealed that among the many distinguished guests attending on the night will be Armagh All-Ireland winners Kieran McGeeney and Paul McGrane and Monaghan legend Paul Finlay. They will be joined by MC Adrian Logan and a number of other surprise guests. A star-studded line-up is guaranteed and this looks set be a night of great value and entertainment. Admission to the event is £10 and a donation will be made on the night to the “Cormac Trust”, a charity chosen by Sean himself. Those with tickets, and those who wish to pay at the door next Friday evening, are advised to come early as seats will be allocated on a first come, first serve basis. Patrons should also note that this event will be starting at 8.00pm sharp. Everyone welcome! 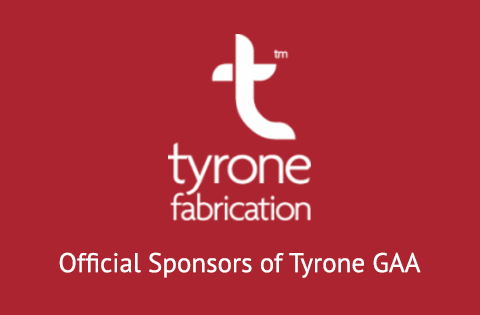 For further information, contact Nuala on 07793805341.